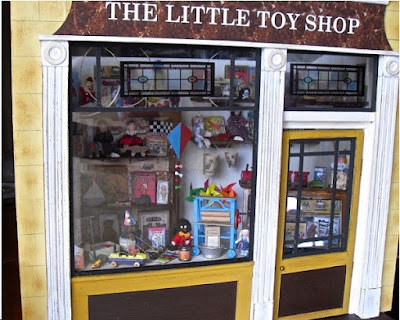 Nostalgia In Miniature Workshops: Paulene's Little Gem! 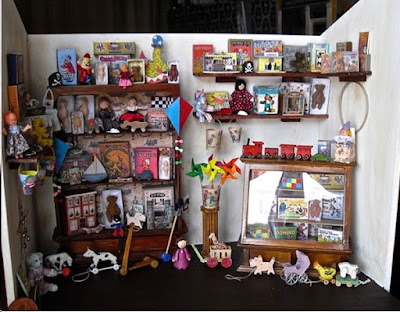 We have been thrilled to receive photos from Paulene Carey who attended one of our workshops in June earlier this year. 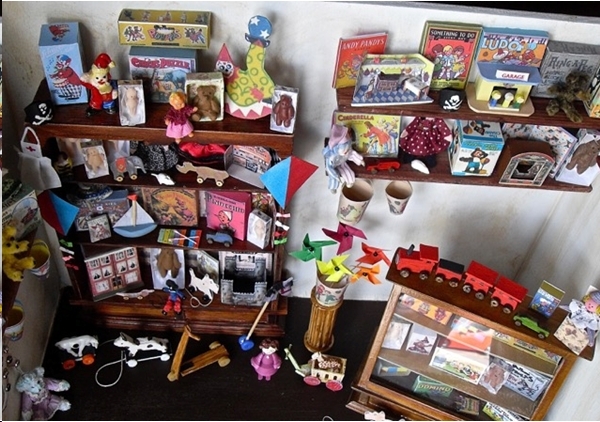 She has finished her "Little Vintage Toy Shop" project.....and this is the result! 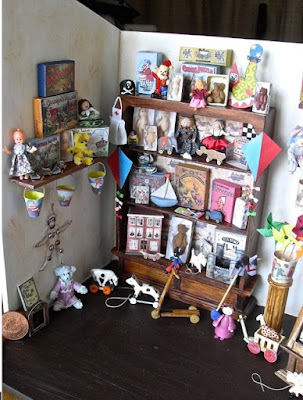 but she has taken her little project just that bit further and added her own ideas to the interior. 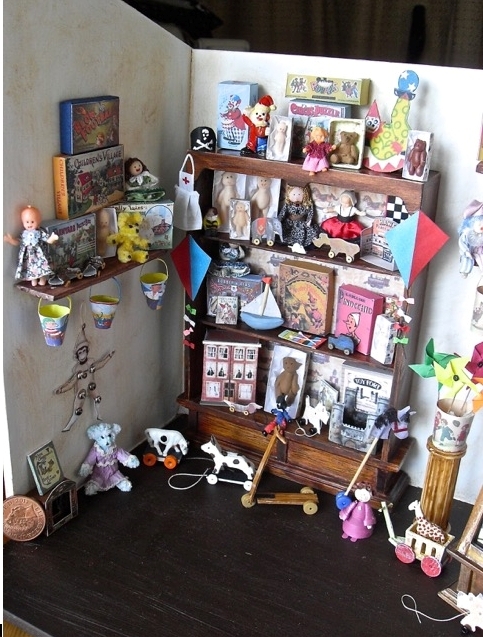 With her own addition of different shelves and display cabinet etc., Paulene's other creations are now shown off to perfection. 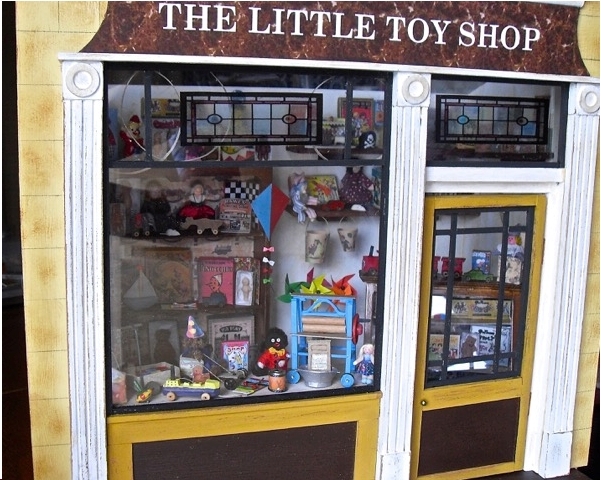 We think you will agree that Paulene has created something rather wonderful! Wellcome to these wonderful tiny world! !